Blue Sky Ranch in Haysville, KS runs strong with people and horses who specialize in giving the gift of hope and healing. 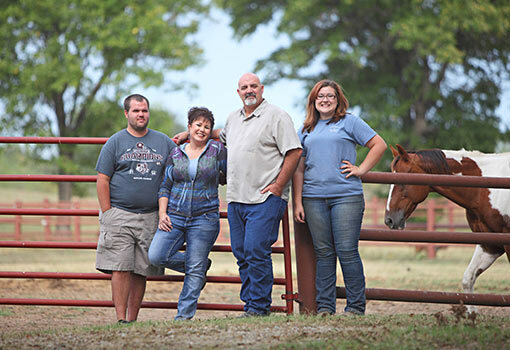 Founded by Paul and Tammy White and their daughter Camber, BSR connects people in need of healing and hope to mentors, horses and equine therapists. 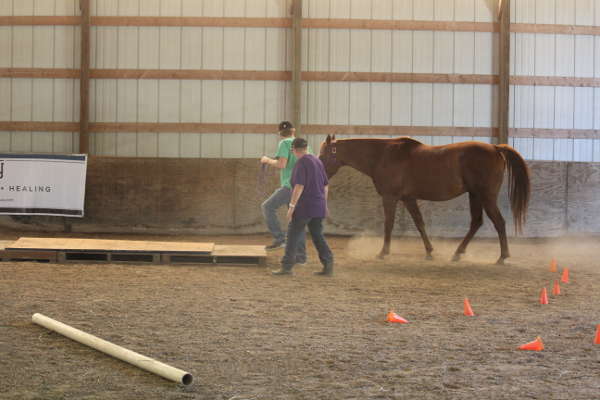 Equine therapy defines our focus of care because of the results it consistently brings. Each horse and therapist at BSR has experience in adapting to each person’s personal experience. We don’t shrink back from anyone’s story, because we believe each person’s challenges can bring unique solutions. Horses have abilities to reflect the experiences of their riders. They are physically powerful and yet sensitive animals that can help us understand how to conquer the obstacles we face. At Blue Sky Ranch, this spirit drives our ranch and distinguishes the desire we have for every person in need of care. 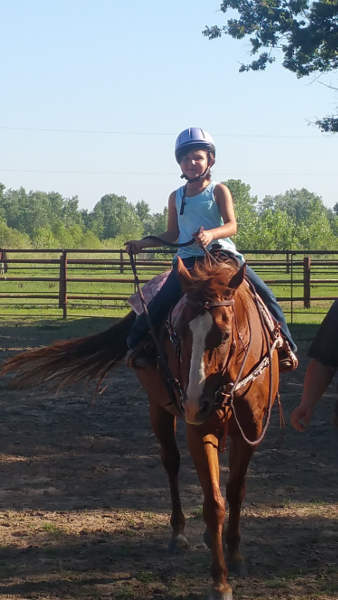 Read more about Blue Sky Ranch and how the faith of a three-year-old started it all. The staff at Blue Sky Ranch also offers a diverse skill set of care. Our abilities range from experience in serving veterans, youth at risk and youth with disabilities. Our relationships with licensed autistic caregivers also pair people up with unique horses to help everyone meet extraordinary challenges. At the end of the day, our equine therapist horses are an integral part of our team. They represent the unconditional love and courageous spirit that each of us needs. As fully trained and experienced equine therapists, they have the capacity to engage people from all walks of life. Camber White is the Equine Specialist for Blue Sky Ranch in Haysville, KS. She graduated from Goddard high school in 2010, then from Wichita State University in 2015 with her bachelor’s in social work. She worked for an equine assisted therapy company for a year before spending a year at the TFI visitation center. 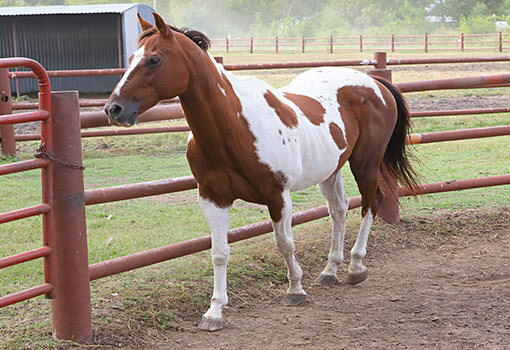 Camber now manages the stables at Blue Sky Ranch and is the equine specialist for therapy provided at the ranch. What do parents say to their three-year-old daughter that refuses to ask Santa for anything except a real horse, especially when they are a middle-class family living in the city? Clearly, Santa’s sleigh is not big enough to bring everyone a pony. After sharing that grown up wisdom, we told Camber that if God had put that dream in her heart, He would give her that horse. And with childlike faith she began to pray every night for that horse. Ready to learn more? Contact us today for more information about our therapeutic programs.